%VIRTUAL-SkimlinksPromo%Veteran Tory Cabinet minister Ken Clarke has admitted that British people have not yet felt the benefits of economic recovery. Mr Clarke's comments chime with the Labour Party's recent assertions that the UK is facing a "cost of living crisis" and that the recovery was not being felt by individuals. The pro-European minister without portfolio spoke while trying to explain the success of Eurosceptic parties such as Ukip in the European elections, claiming they had taken the easy approach of blaming people's problems on Brussels, foreigners and the political elite. Mr Clarke also derided the Labour Party for being "extremely silly" in running a campaign for the European elections "trying to avoid mentioning Europe". Asked about anti-European feeling in the UK, Mr Clarke told Channel 4 News: "We have just come through a deep recession; the population of most European countries including the United Kingdom have not yet felt any sense of recovery. "We're recovering more strongly than the others and the only way you can get living standards up is to have a strong return to competitive growth. "But in the early stages it doesn't produce much for real people. These are the early stages." He went on: "It's very easy to persuade them (voters) that they are being let down by the elite, that it's all the fault of foreigners, it's all Brussels, none of which is very worked out. "What you have to do is put a positive case for reforming Europe and also economic reform here which is already well under way. "We're doing better than any other Western democracy at putting a shattered economy back together again." 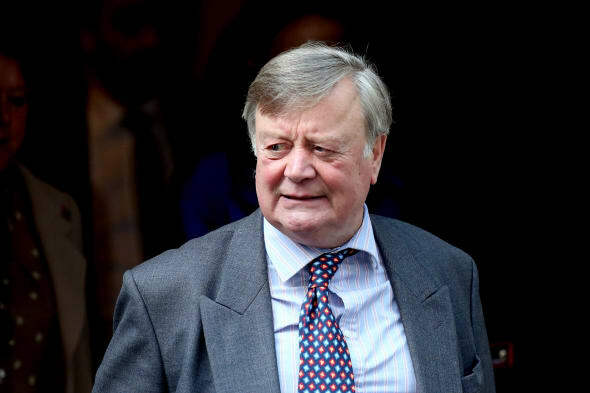 Mr Clarke, who is rumoured to be on his way out of the Cabinet in a reshuffle next week, also revealed he was surprised to be in it at the age of 73 and that he has reached a stage where he would not mind standing aside. He said: "I've been in the Cabinet for a very long time. I am surprised to be in the Cabinet at my age." reached a stage where believe it or not I am no longer seeking to catch the selector's eye. "I enjoy being in the Cabinet, I am supportive of the Government and sooner or later a lot of ambitious young people have got to be promoted."